Now before you bring out the pitchforks and torches, this post is the shortest edition of the Radio Laurier Mid-Week Update yet, BUT for good reason. Starting…well right now actually, Radio Laurier and the rest of the Wilfrid Laurier University Student Publications team is hopping on a bus to head up to Camp WLUSP. I however, must arrive late along with a few other unlucky souls, and therefore in a rush to get everything that needs to get done (work stuff…ew) the Mid-Week Update for this week has been picked to its bones. Please bare with me and the minimalist nature of this posting however, it’s still really important, ground-breaking, earth-shattering, hide-under-your-bed-until-you’re-able-to-stop-shaking-of-excitment-my-god-this-is-a-lot-of-dashes, INFO. There is a FREE music festival happening downtown Kitchener (Schneider Creek) happening THIS Saturday July 25th. The Schneider Creek Porch Party is from 4:00 to 7:00pm on Saturday and involves 15-20 different talented artists. Each artist will have a chance to perform for the festival on one of 6 stages, aka porches, all along Whitney Place. Some of the featured local musicians include James Downham, Vienna D’Amato Hall, Loretta Fullerton, Edward John Barrington and many many more! Anyone ring a bell? The Polaris Music Prize short list was released last Thursday and I have the lucky 10 artists who are now in consideration for the award, which will be announced September 21st! The winner will be awarded $50,000, and each other short list member will receive $3,000. So congratulations to the all already!! 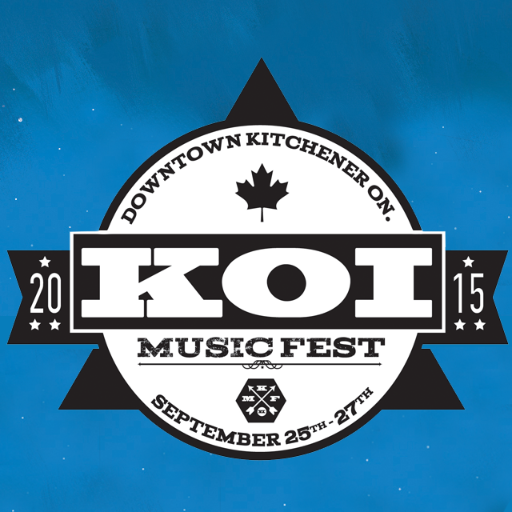 Like I mentioned a few weeks again the KOI Music Festival is happening in just a few months on September 25th to 27th! Along with the two headlining acts, August Burns Red and Waterloo’s own AURAS, other programing was most recently released including, The Brains, Alive in Standby, For The Win, The Space Pimps, Coldfront, Curses, and Bitter Kids. As a reminder the KOI Music Festival is taking place in Kitchener with the kick off event featuring The Trews being hosted at Maxwell’s in Waterloo. Well that’s all I’ve got for today! I’ll make it up to you! I promise…wait do I? OOOOOH CLIFFHANGER…………..